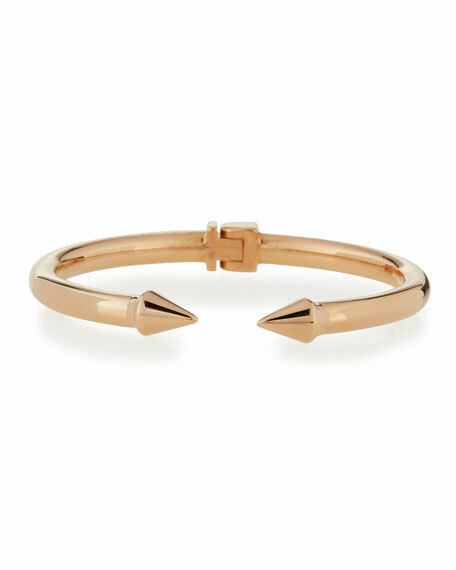 This Vita Fede "Mini Titan" bracelet balances edgy spiked end caps with an elegant gold-plated finish and simple lines. Oval; 6" circumference and medium at 6.2; 8mm at widest. For in-store inquiries, use sku #277578.